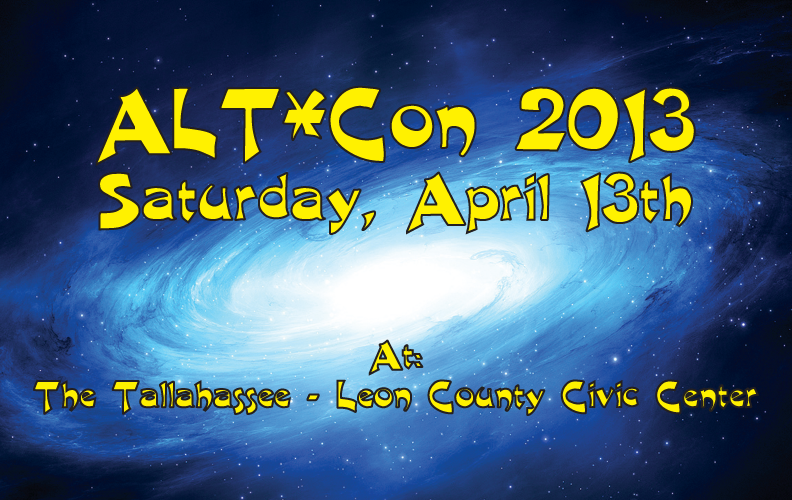 Artist Alley tables available at ALT*Con Convention at the Leon County Civic Center, Saturday, April 13th, 2013. We’re currently looking for artists for our first annual ALT*Con (Geek/gaming/anime/Sci-Fi convention). Some of what we’ll have: comic books and graphic novels, big names and independent artists, tabletop, card and video games, anime, steampunk, geek-chic, or just geeky in general. Artists can sell & sign at their tables. Tables are $50 each. Artist tables are 6’ and include up to three chairs & wristbands.